Brand South Africa’s Play Your Part initiative makes emphasis on inspiring all South Africans to contribute to positive change, get involved and become active citizens, in order to contribute to the National Development Plan’s (NDP) vision 2030. The NDP defines active citizenship as equalising opportunities and enhancing human capabilities. It serves as an action plan for securing the future for all citizens as charted in the Constitution. Jozi Cats are one such example of being on the path of contributing to the Play Your Part mandate of inspiring and encouraging active citizenship. As a registered Non-profit Organisation (NPO), Jozi Cats is Africa’s first gay-inclusive, competitive rugby club, that stands for being a people association first, a sporting organisation second and a community change-maker third. 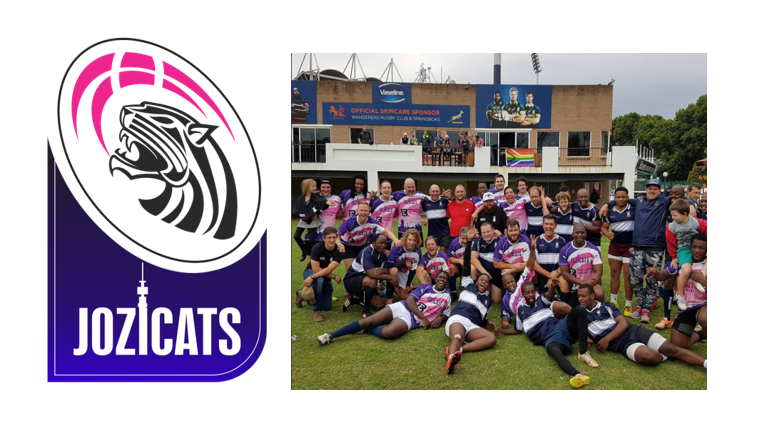 Jozi Cats live and breathe its values at all times, on and off the field to inspire local and global sporting bodies such as the Lesbian, Gay, Bisexual, Transgender, Queer or Questioning, and Intersex (LGBTQI*) and GNC (Gender Non-conforming) communities. As Africa’s first gay and inclusive rugby club, Jozi Cats sit at the centre of the conversation on the continent as #ChangeMakers. Of the 55 African states recognised by the United Nations or the African Union, homosexuality is outlawed in 34 African countries. South Africa, the only country on the continent where sexual orientation is protected by the constitution. Jozi Cats exists to provide a safe space for all its diverse communities to enjoy the game of rugby, whether as a player, a referee, or spectator, regardless of sexual orientation, gender identification, age, race or ability. “Founded on 20th August 2015, we began our journey with a simple idea of creating a safe and harassment-free environment for everyone to enjoy the game of rugby, along with building a competitive, social and diverse club which welcomes players with all levels of experience who enjoy a love for rugby”, said Mr Chris Verrijdt; Chairman – Jozi Cats Rugby Club. In February 2016 Jozi Cats reached out to find support to recruit new members and increase the visibility of the club. Havas PR devised a bold campaign that turned gay stereotypes inside out by challenging you to ask “what does a gay rugby player look” and used the typical gay slurs one would here on the sports field to tackle homophobia in rugby. The “Rugby, That’s so Gay” Campaign launched on May 4th, 2016 and went viral. The Jozi Cats campaign was viewed by over 350 million people in over 146 countries worldwide. For more information on these Ordinary South Africans Doing Amazing Things – Jozi Cats Rugby Club, log on to www.jozicats.co.za or like facebook.com/JoziCats and follow @JoziCats on Instagram and Twitter for regular updates.